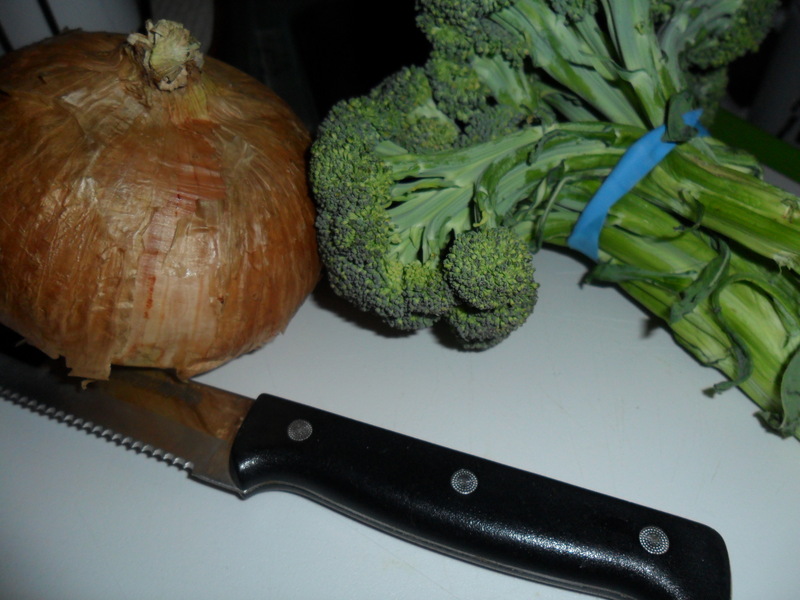 Trying to keep fresh produce in the house can sometimes be a delicate balance. I try to predict how many meals I’m going to cook in a given week and pre-plan them so I am not just buying produce on a whim. This is especially important when I get my produce delivery, because if I’m not careful in preplanning I will end up with a lot of spoiled produce and that makes me sad. It’s wasteful on many levels. However, sometimes I end up with my back against the wall so to speak with my produce. I found myself in such a situation this week. My best friend Sarah came in to town from Philadelphia in preparation of a four day girls weekend in North Carolina with my parents. I had produce that was just about to go bad, and I needed to use it all up ASAP. 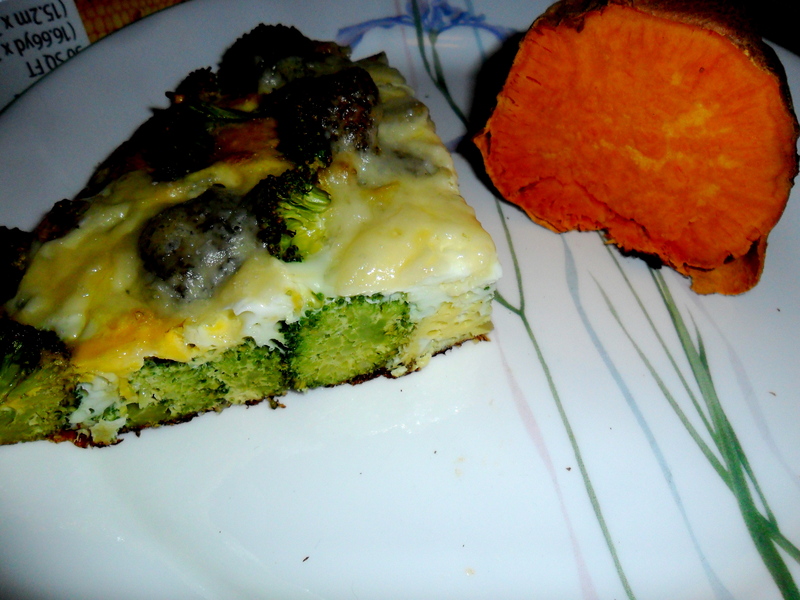 My go-to solution when I need to dump a lot of produce into one dish is a frittata. They’re not only delicious, but they’re also healthy, and you can load them up with any veggies and herbs you want. 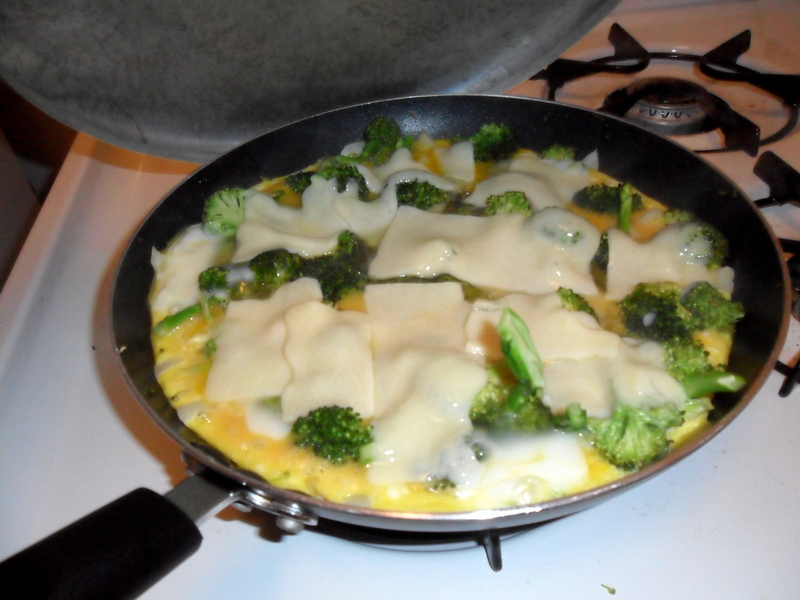 For our dinner I decided to make a broccoli, vidalia onion, and sharp white cheddar cheese frittata. 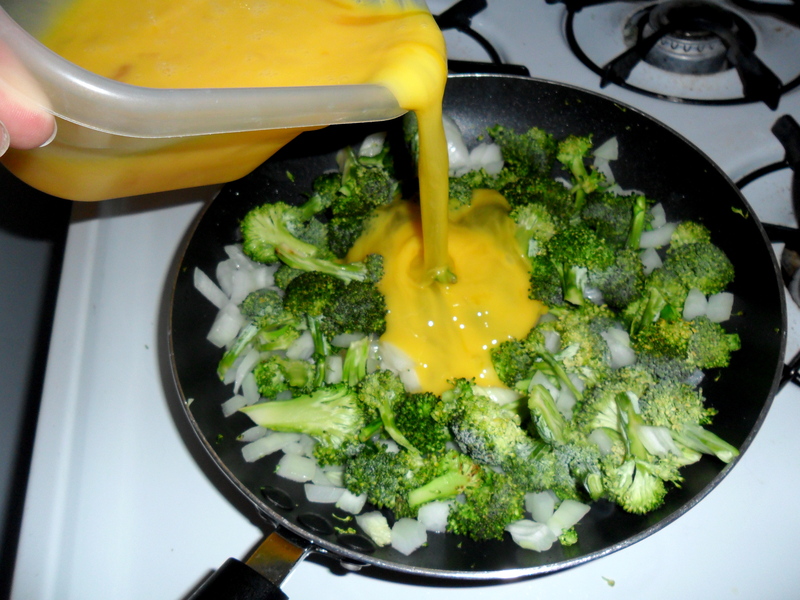 I had to buy eggs for my macaroni and cheese recipe, so I had plenty of those on hand! 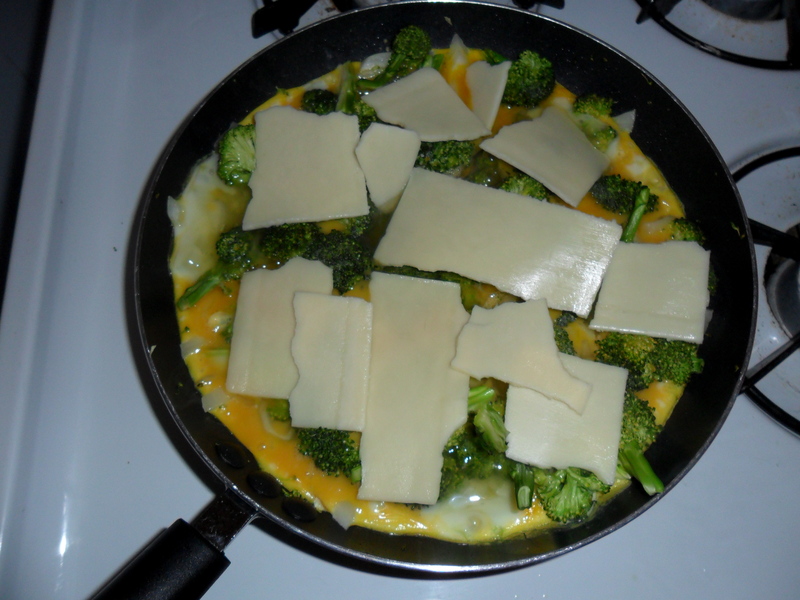 The process for making a frittata is ridiculously easy and you can substitute absolutely any produce you desire. Start by pre-heating your oven to the broil setting (my oven is basically ancient so it says it has a “broil” setting but I think it’s really just a super hot oven. If you don’t have a broiler… don’t sweat it. A hot oven will do you just fine). I like to chop my produce up into relatively small pieces because it makes the frittata a little more congruent in the end. 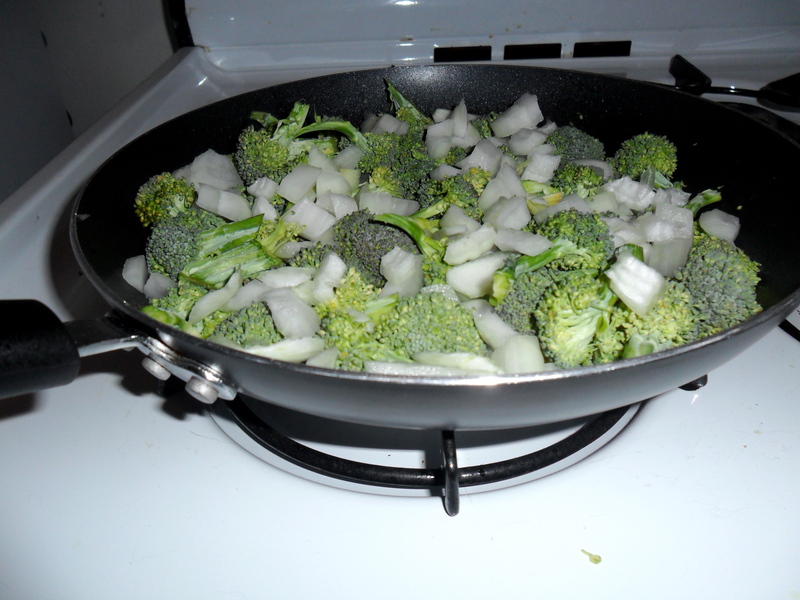 I coated a medium sized skillet (you can use larger if you prefer) with SmartBalance Omega spray and sauteed the broccoli and onions for about 5 minutes. 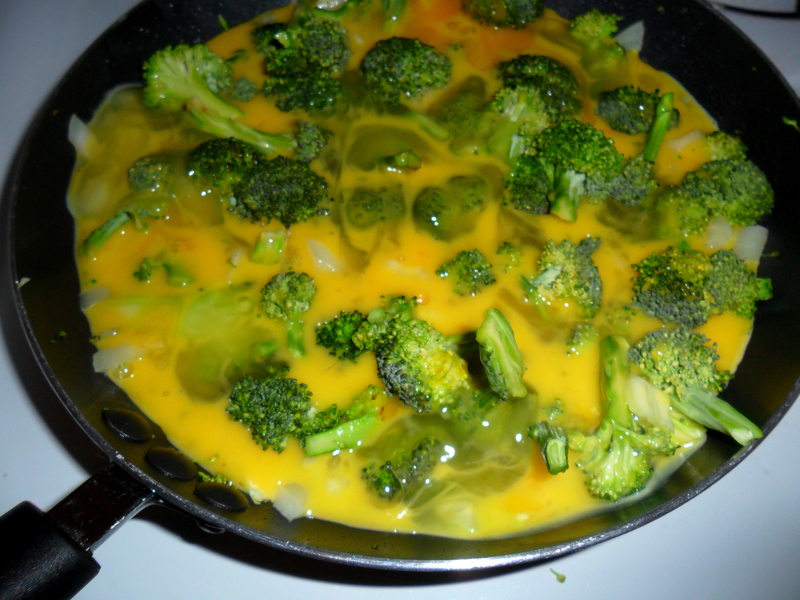 I added the eggs and cooked it covered for about another 5 – 7 minutes (this process is not at all exact so just check it often. You want the egg to start firming up but not be completely cooked. You’re better off using a low heat over a longer period of time). 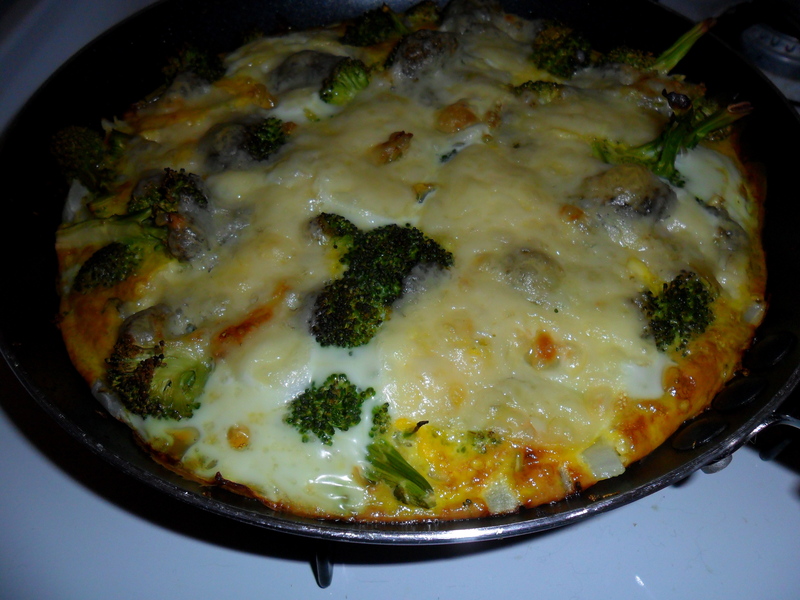 I topped it with cheese and cooked covered for about another 2 minutes. 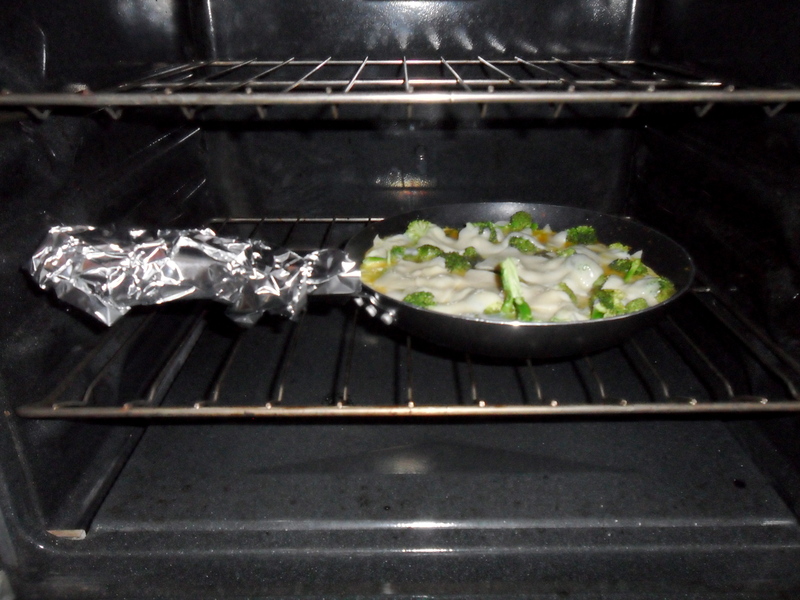 Cover the handle of your pan in aluminum foil for your own safety and pop it uncovered into the oven. Let it broil for maybe 5 minutes, just until the edges and topget slightly browned. You want it to be kind of crispy on top. I served it with a large sweet potato that I microwaved for about 8 minutes. OK I am making this tomorrow!!! This looks so yummy!!! Ok I am making this tomorrow! This looks so yummy!! !